Don't forget YOUR summer reading list. The professional library is open all summer long! You can borrow print books as well as access eBooks and AudioBooks from OverDrive. Check out one of these great NEW titles today! The instant New York Times bestseller from the creator of Grey’s Anatomy and Scandal and executive producer of How to Get Away With Murder shares how saying YES changed her life. “ Her iconic characters live boldly and speak their minds. So who would suspect that Shonda Rhimes is an introvert? That she hired a publicist so she could avoid public appearances? That she suffered panic attacks before media interviews? With three children at home and three hit television shows, it was easy for Shonda to say she was simply too busy. But in truth, she was also afraid. And then, over Thanksgiving dinner, her sister muttered something that was both a wake up and a call to arms: You never say yes to anything. Shonda knew she had to embrace the challenge: for one year, she would say YES to everything that scared her. CHANGE ANYTHING shows how individuals can come to understand these powerful and influential forces, and how to put these forces to work in a positive manner that brings real and meaningful results. The authors present an array of everyday examples that will change and truly empower you to reexamine the way you go about your business and life. The Way of the Essentialist isn't about getting more done in less time. It's about getting only the right things done. It is not a time management strategy, or a productivity technique. It is a systematic discipline for discerning what is absolutely essential, then eliminating everything that is not, so we can make the highest possible contribution towards the things that really matter. By forcing us to apply a more selective criteria for what is Essential, the disciplined pursuit of less empowers us to reclaim control of our own choices about where to spend our precious time and energy - instead of giving others the implicit permission to choose for us. Essentialism is not one more thing - it's a whole new way of doing everything. It's about doing less, but better, in every area of our lives. Essentialism is a movement whose time has come. Looking forward to next year...Author Visits! An article in a recent edition of Knowledge Quest sums up the magic of author visits very powerfully. "What I love about meeting authors up close and personal is that it demystifies the writing process. Certainly one wouldn’t argue that just anyone could write a good book, but there is something so encouraging in the authors’ humility, wisdom, humor, and advice. More specifically, when writers come into the schools, they prove to students that books are not artifacts created in another zone but the creative products of individuals who share common human faults and doubts. Books are testaments to perseverance and recovery from failure. " As you wrap up this school year and start looking forward to next, consider how you would like to use the $1000 your school can receive for hosting an author visit(s). You can bring an author in person to your school and share with other schools to cut down on costs. You can invite a local author to visit. You can even Skype with an author. 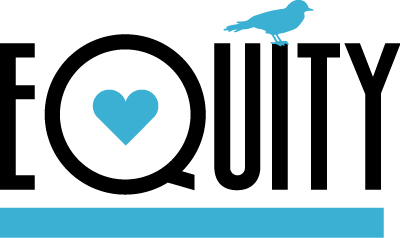 If you have any questions about contacting authors or setting up visits, please let Courtney know! Full Article: Does Meeting Authors Make Us Better Librarians? Consider sharing this link with parents and teachers! Virtual summer camps -- where kids head to the computer instead of the pool or park -- are a thing now. But don't worry: These aren't the solitary, sedentary, screen-centered experiences you fear. Plenty of virtual summer camps offer kids the chance to make projects, investigate ideas, and explore the world. And many are free. This is a really cute idea for celebrating reading accomplishments in school. (As this is a Buzzfeed article, ads and links to other articles will appear on the sides that might be tailored toward older readers). What does it take to empower young patrons, remove barriers, and help them succeed? Determination. Imagination. A solution-oriented outlook. The individuals who spearheaded these bold library initiatives were driven by a goal to improve service for all users. They tackled big projects head-on to further equity in their schools and communities: a GED program at a tribal library; resources for children who are neurodivergent; free food and programs for kids during the summer; eliminating discriminatory policies; and more. Here’s how they did it. This looks like a great issue from SLJ. The May issue is not yet on Ebsco. Will keep you posted when it is! 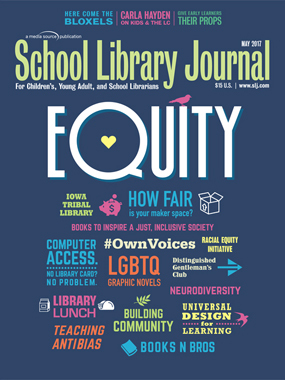 In hopes of encouraging discussions about social justice and equity, the Association for Library Service to Children (ALSC) recently created a Working Together for Justice booklist that affirms the rights of children and families. Start your own discussions utilizing the resources for the titles on this Working Together for Justice booklist!